She is the first Guan Yin that I will never sell. She is a jadeite Guan Yin lavender in colour. When this Guan Yin came, I have not even started my first Lotus on Water gallery yet. I was meeting clients in my house. 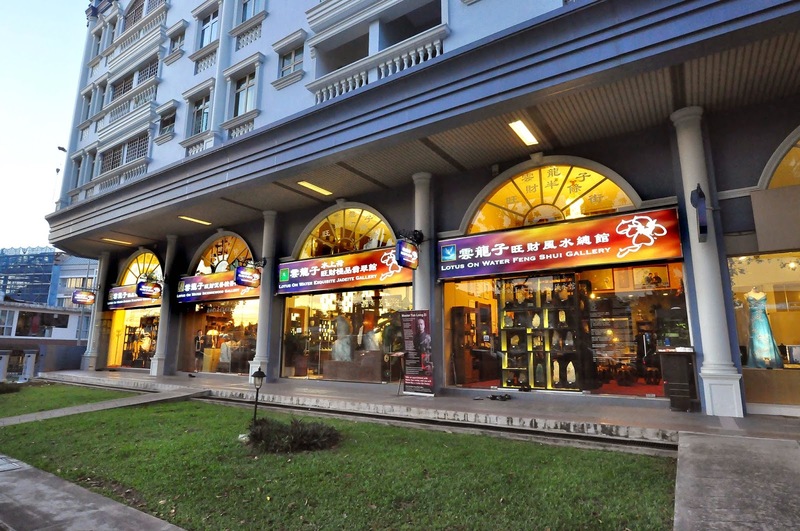 At that time, more than 90 percent of the jade sold in Singapore were the “B” and “C” jade. “B” jade stands for “bleached” jade whereby jade is soaked in strong acid so that the strong acid will seep through the jade to melt off the impurities inside. The jade become so brittle because the internal structure is destroyed. Hardener has got to be introduced to strengthen the jade. I would never sell this kind of jade. Not only was it useless, but it would be harmful to the health of those who wear it. “C” jade stands for “coloured” jade. It is also called the injected jade. The colour is not real, and thus the element it shows is not the element it possesses. 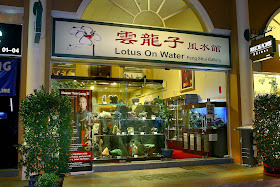 Lotus on Water only sells “A” jade. And not just “A” will make it. It must be the best, and it must firsthand. Yes, the Lotus jadeite is never cheap. Lotus jadeite is the mark of standards. Beautiful. But they are “B” and “C” or even worse. Some are “certified” too. 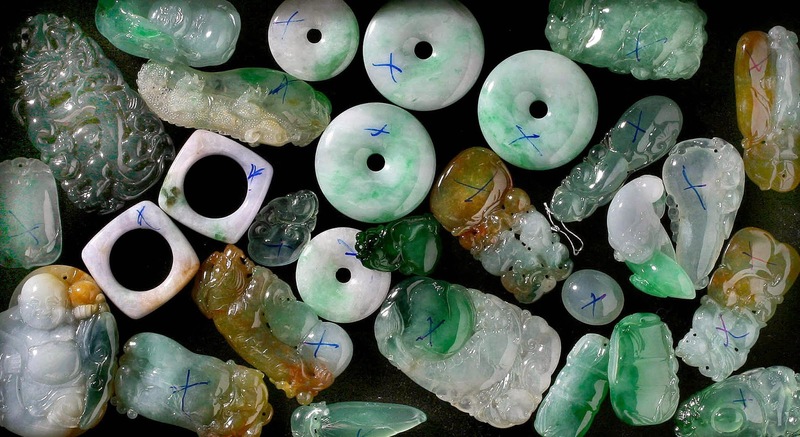 These two types of jade are not beneficial to the luck of wearers except, perhaps, psychologically. However “A” jade (natural jade not tarnished by chemicals) was so expensive even at that time that I was not sure if people were willing to pay for them. Thus I converted my living room into a mini showroom to display my “A” jade to interested clients to be. This lavender jadeite Guan Yin is carved out of a big raw jadeite of rather fine quality. At that time, when it was carved, it was meant to be sold, at a good price of course. But strange things happened. Strange feelings indeed. I kept having the feelings that the Guan Yin wanted to stay with me. So I went up to the Guan Yin, lighted an incense and said a prayer. I told her that I would very much like to own her if she would want to stay. But the price of owning her would be challenging. It would require a leap of faith. I asked her for a sign. Out of an inspiration from my heart, I asked that in ten days, a big amount of income would come to me so that I can afford her. A few days later, I received a phone call from a client in Netherlands. His name is Kees. He came to Singapore a couple of months ago. He heard from his friends about me. So he came to see me. I told him by the time he returned to Netherlands, there will be an unexpected wealth coming to him. Just as he was finishing his lines, he remembered he happened to buy a lotto ticket before he left Netherlands and he left it under the ash tray. He took out the ticket and checked at the internet. Yes! He won a prize of ten thousand euros. 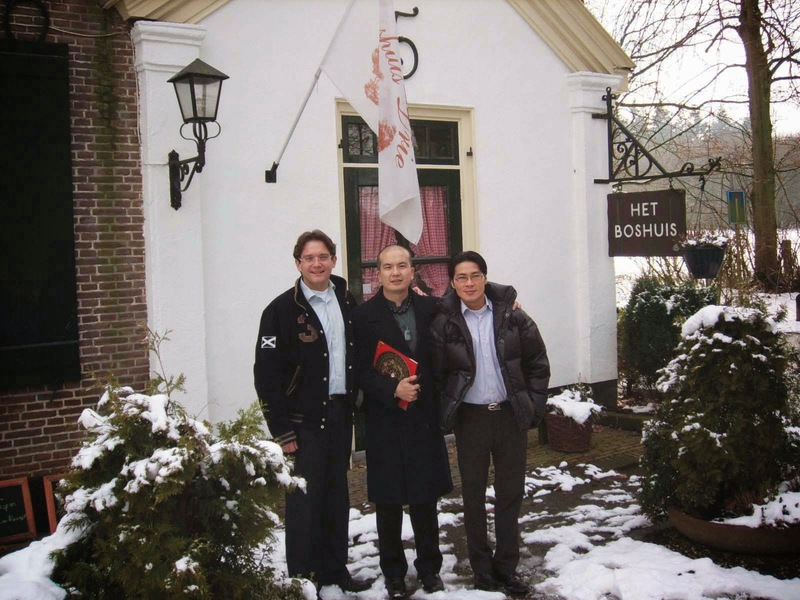 Kees, Master Yun, and Kee’s business partner in front of the restaurant. This was in 2005. Kees and his business partner now owns 2 more hotels. 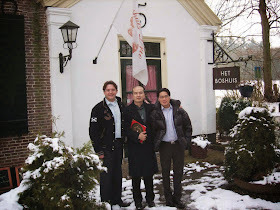 Kees owned a restaurant and soon all the clients and the staff of the restaurant got the news of it. Many who have heard the story about this weird master from the east asked him if he could get me to provide feng shui services for them. One of them happened to own many Mercedes car showrooms in Netherlands. 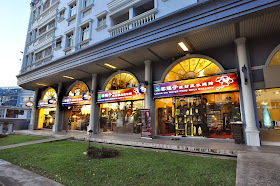 So the purpose of Kees calling me is to get me to buy a plane ticket to fly to Netherlands to provide feng shui services for these twenty over clients (it turned out more after I arrived). It was exactly on the tenth day after I said my prayer to this Guan Yin. The rest that happened after that was like flowers blooming in spring. It was floods of miracles and blessings unstoppable. 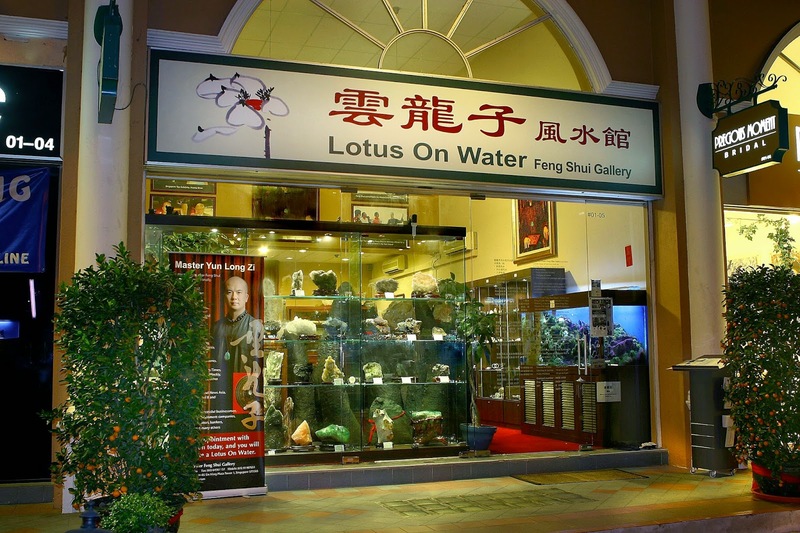 The amount of money I received from Netherlands not only allowed me to own that Guan Yin, it allowed me to open my first Lotus on Water gallery along Upper Thomson Road. 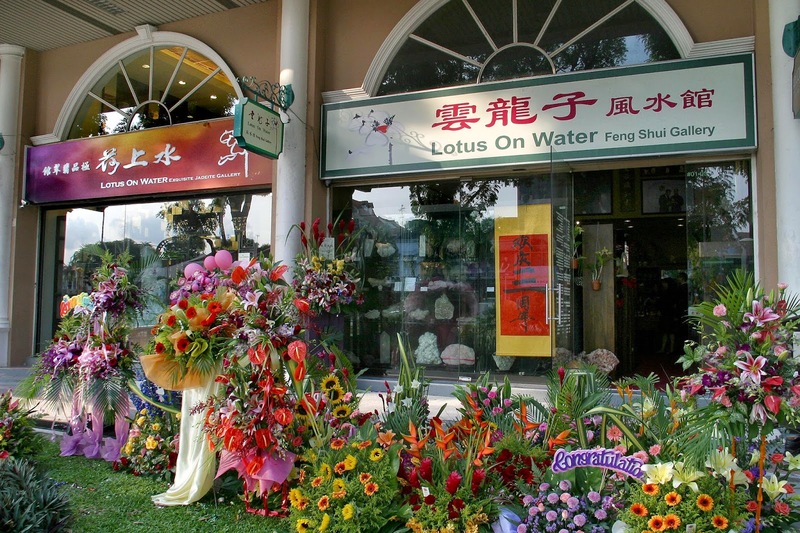 The first Lotus on Water gallery along Upper Thomson Road. Started in 2006. 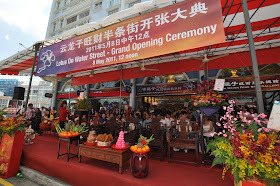 By the third anniversary of the first gallery, the Lotus on Water Exquisite Jadeite Gallery was opened. 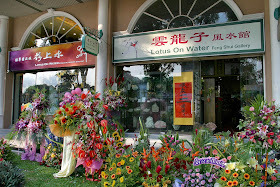 Till today, it serves Lotus on Water’s VIPs, and is house to some of the best jadeite in the world. 2011 May, Lotus on Water expands further. Opening up the Agarwood and Sandalwood Gallery, and the Exquisite Buddha and Deity Sculpture Gallery. Lotus on Water galleries become Lotus on Water Street. And the existing galleries get a facelift. Lotus on Water Street. The chain of Lotus on Water galleries, standing proudly today. Absolute standards for the authentic and the best. Zero tolerance for mediocrity. And enduring faith. 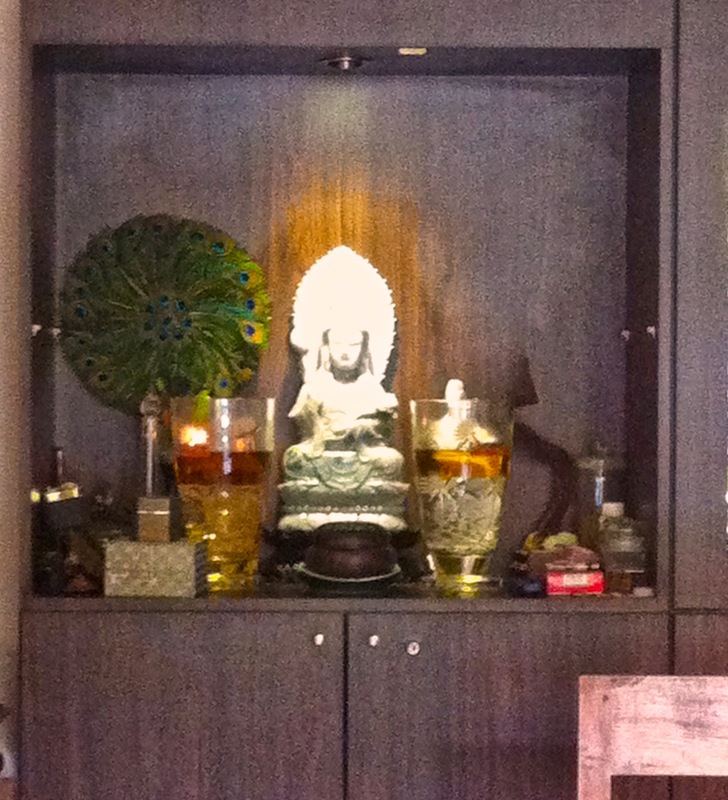 The lavender Guan Yin stayed in my house till this day and has continued to answer to many prayers. This Guan Yin does not hold a lotus in full bloom, but a lotus in bud (which is not typical). Like a bud that blooms into flower that has yet flourished, it has brought grace and glory that were beyond what our eyes could see. It is a bud of faith. We have heard stories from the “Journey to the West” of how Guan Yin descends from the sky to bring blessings and assistance to people. I have never seen her literary coming down from heaven and I wonder how many people have seen that. The jadeite Guan Yin, still in Master Yun’s place today. This is the Guan Yin that brought Master Yun from nothing to something, and gave life to Lotus on Water galleries. But her blessings always come in an inspiration. It comes with a voice, asking for actions of faith, sometimes a leap of faith. God asked Moses to plunge his Shepard staff into the water when the Egyptian armies were chasing after him. The man followed the voice in his heart. Miracles happen. The Red Sea opens. A man becomes a prophet. Likewise, this Guan Yin comes to me holding a stalk of lotus bud when I had almost nothing. And she gave me an inspiration, and I accepted the bud of faith. Lotus on Water was born. She is the Guan Yin that has brought me from nothing to everything. The other jadeite Guan Yin. Standing, also with the lotus bud, in the Exquisite Buddha and Deity Sculpture Gallery now. The jadeite Guan Yin in Master Yun’s place is off limits. But at least we get to see the partner, the standing jadeite Guan Yin here. Founded by sixth-generation Fengshui Master Yunlongzi 云龙子大师 and has been inspiring wellness and wealth since 2005, Lotus On Water was awarded Golden Brand Award in 2007/8. Which finger should I wear my Heaven and Earth jadeite ring?